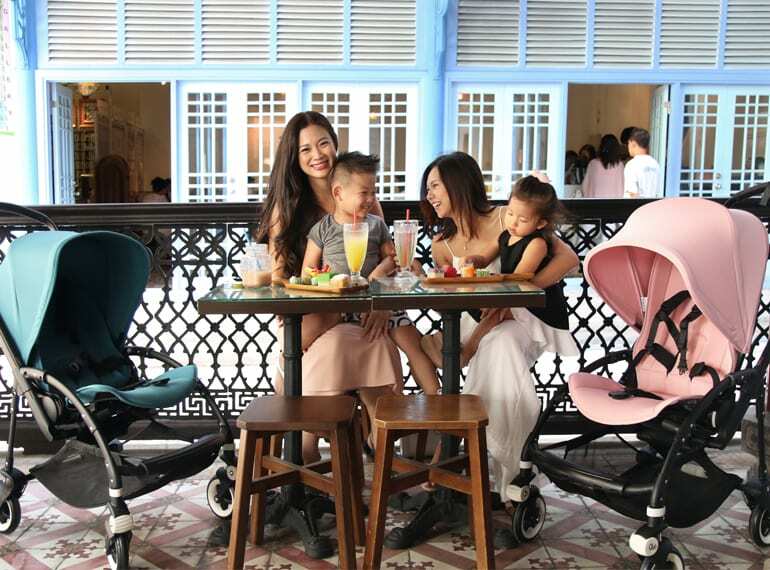 Business partners Tjin Lee and Belinda Huber of Baby Style Icon catch up for a cafe date with their kids Tyler, three and Ashley, two – and their swish Bugaboo Bee3 strollers! You’re both constantly on the go: how does the Bugaboo Bee3 make your life easier? Belinda: I love that the seat can be fully reclined – being able to lie the girls flat for a nap is a big plus, and it’s long enough for a toddler to sleep in. It’s so comfy for the kids with good back support, and the canopy is big and shady too. We drive around a lot, and the Bee is so easy to collapse and pop into the trunk. 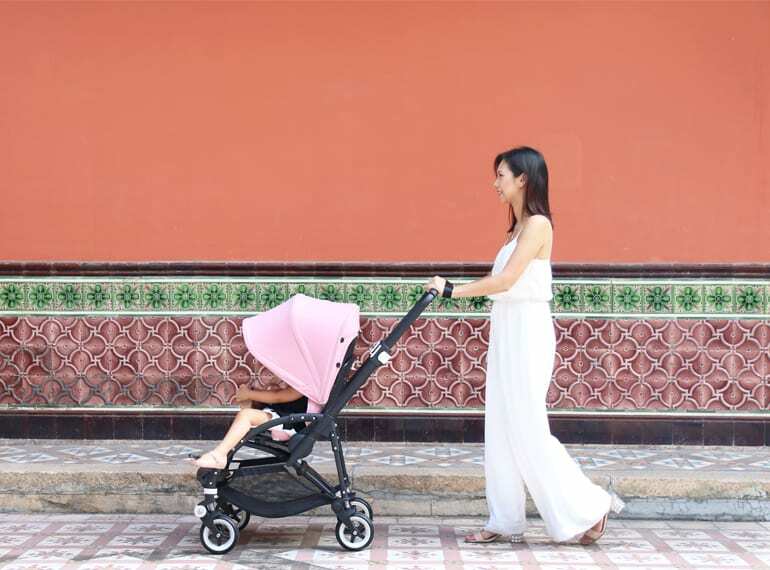 Tjin: It’s a sturdy, stylish pram – light weight enough for navigating the city but tough enough to take into parks and on travels. I also really love that it can change covers – like getting a new pram just by changing the hood or seat cover! “I love that I’ve used the same stroller since birth for both of my girls,” says Belinda. Belinda: I love that I have used just the one stroller for both of my children from birth until now (Hayley is three and Ashley is two). Many people I know have several strollers for different ages or purposes, but the best thing is that we can attach a board at the back so that both kids can use it! I also love the gorgeous colours available for the sun canopy, which can be changed depending on your taste. 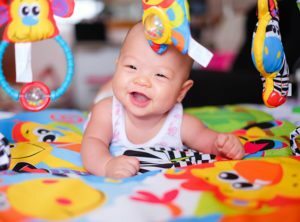 Tjin: It’s a one-stop solution from newborn to toddler: if you wanted to buy just one pram ever, this is it. Our Bugaboo Bee3 has seen us through from Tyler, who’s three, to Jake, who just turned one, and is still going strong! We’ve added the buggy board a couple of weeks ago so Tyler can now hop on and cruise along with us. 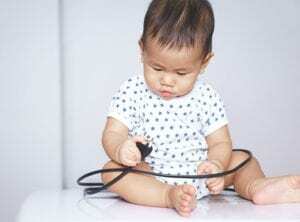 Where do you love to take the little ones out for a stroll? Belinda: We love walking around our neighbourhood in Bukit Timah. 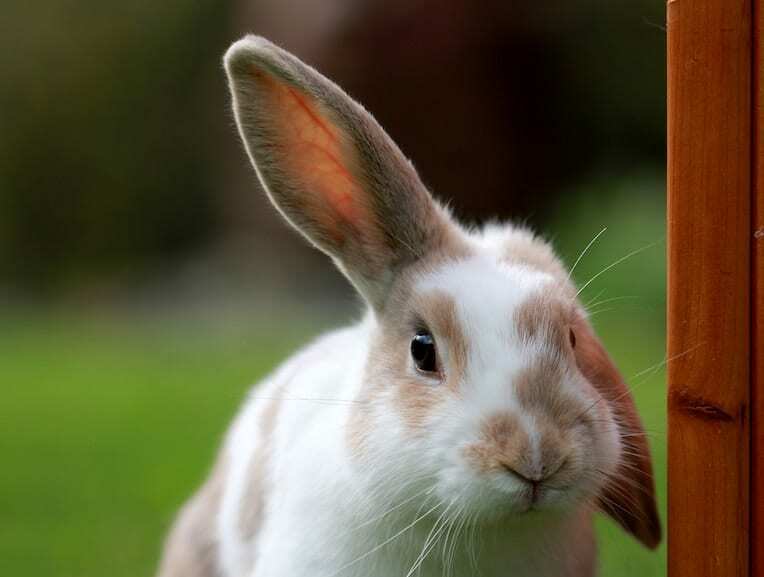 At the back of our estate there is a communal garden which grows flowers, plants and veggies – there is a lot of greenery and it’s just so peaceful out there. Tjin: Gardens by the Bay. The indoor Flower Dome is wonderful in our hot and humid climate, and pram-friendly! 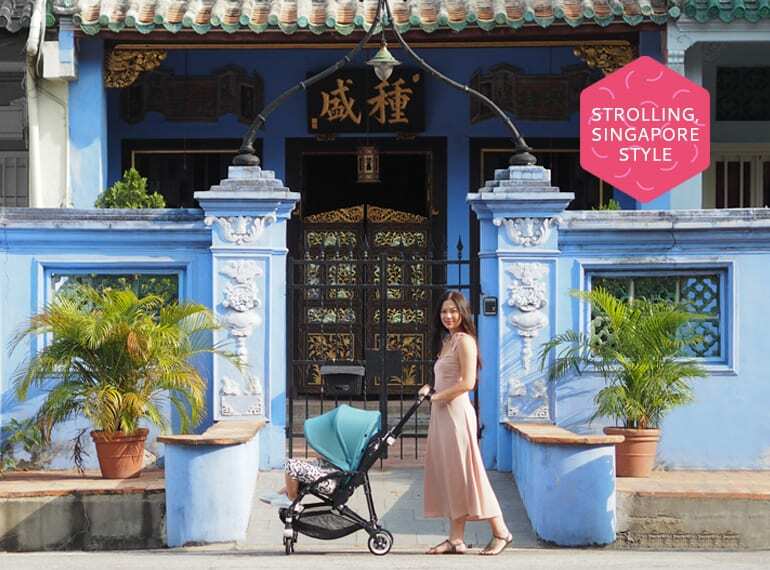 Belinda and Tjin with kids rocking the soft pink and petrol blue Bugaboo Bee3 strollers – the perfect compact pram for zipping around Singapore with little ones. How do you like to hang out as a family? Belinda: Our family is all about food, so we love to go eat. Every Sunday morning we go to Huber’s Butchery Bistro (the family business) to chill out and hit the playground. We also love to travel: the kids love getting on a plane. We go to my hometown, Melbourne once or twice a year, and the Bugaboo Bee3 comes with us. We’ve taken it overseas many times – it’s so sturdy, and folds up easily for travel. Tjin: We love to travel. For me, that’s about spending real quality time with my boys. In Singapore, we like to take the boys to do activities together, like cycling at East Coast Park. I also love our neighbourhood around Blair Road and Everton Park, where a scattering of cool murals has popped up commemorating the heritage of the area. 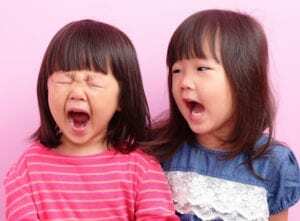 What’s the best thing about being a mumpreneur? Belinda: Having the flexibility to be with the kids whenever I am needed. I haven’t missed any important milestones or events that they have had to attend. Another great thing is being able to take them along with me for work meetings or run work errands. 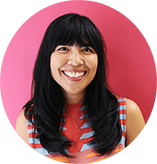 Tjin: Owning your own business gives you flexibility over your time, to work at a schedule that lets you prioritise your family, and still feel engaged and empowered with your own business and income. You’ve got a lot going on – what keeps you going? Belinda: Having enough sleep!! My kids both sleep at 7pm, so I have time for my business, alone time with the hubby and also time to go out with friends, I think that’s important to keeping one’s sanity and that’s what keeps me happy energised. Tjin: Passion and big dreams – the idea that one day we could bring Baby Style Icon around the world and our unique style of baby and kids fashion to a global audience… And coffee! Want to win one of these fab Bugaboo Bee3 prams from the new modern pastel collection? Head over to Baby Style Icon for your chance to snap up this super stroller! This post is sponsored by Bugaboo.